Love that your starting the podcast again. My go to for tech reviews and news. Just recently discovered the commentaries so well done by Chris Pirillo on his YouTube channel. Love the honest and thought provoking dialogue. Actually wondered why I couldn’t find a podcast done by him earlier, so I asked him regarding it via YouTube comments ( as I’m sure many others were asking themselves) and was floored to see there now is one! Listened to the first podcast, and I gotta say, as much as I enjoy watching the videos, I REALLY like the audio podcast because it feels like I really get more by listening to his voice rather than watching and can just focus on what is being said. Good stuff. Much appreciated and can’t wait to see what the future brings! I really appreciate the fact that these podcasts are short, not long. They are packed with information. I appreciate your small team's efforts. Well thought out as usual. I’ve known Chris since 2008 and he continues to innovate and amaze me with how much he does for his community, even if some aren’t entirely appreciative of his work. A friend for life, and I look forward to the reboot of this podcast! Love the videos, you are the best! Very informative and diverse! The title is only a few minutes of what he talks about, the rest is geeky news. Talk about one huge ego. NO thank you. The interview with Ryan was great. The tourism board in Hawaii needs to hire him. Great video Chris ! this podcast is great. i listen to it everyday in the car! Chris does a great job of combining entertainment and information in a tech show. If the subject is not what you're interested in, you can still count on him to be very entertaining. Great show!!!!!! Chris is. The best I never miss a video! i watch it everyday and learn new things and sometimes he mentions games and i love that. Seriously... a whole episode about what hats he likes to wear. . . Awesome, best i ever seen!! The best podcast for geeks! I literally watch every single video he makes and I really like it. He talks about interesting things and he sometimes makes it funny too! :) But if you are not a geek or don't like to talk about technology then it might not be the one for you. I look foward to the release of the latest podcast. Chris is Fantastic! I used to watch all of Chris's videos as soon as they came out. Anymore, all he does is read top 5 lists created by viewers, usually not even tech related. There is very little original content from Chris. Often times, he rambles on and does not get to the point. I did not discover you until i got my macbook pro at 07-08 christmas time. How do you switch camera views in (form the car to the office) and what program did you use to monitor the processors on the mac pro. Chris' degree in educations makes him very qualified to teach people about all things computer related. Chris talks about everything tech, hes funny, he nice. You will learn a good deal from him. Chris Pirillo, the geek among geek has such a passion for technology that he has inspired many a people to furthur their love for gadgets and technology. His show gives a new meaning to entertainment. Unlike many of the people that came out of tech tv he has improved the out look for the internet and all things to do with PC's or Mac's. Getting to know him has been easy since he shows most of his life on ustream. He truly comes out with some off the wall and funny stuf. The best part about his show is the wide range of topics he covers. When I search for gadgets in youtube Chris ALWAYS has a video on it, and he is usually very well informed on the topic at hand. If you can't watch his live stream, this is a great way to learn about tech. I'm a Mac user and despite that I'm even sick of the Mac-centric move the show has made. Ever since Chris switched to Mac the whole show became an Apple ad. From the host perspective, the praise for Apple is a bit overboard and the slamming of Windows is unnecessary. But what really gets me is the calls and the chatroom stream. Not only has it brought on the most obnoxious of the Apple "enthusiasts", the show is now littered with phone calls bashing Vista by people with limited or zero experience on it. This is no longer informative or educational programming. This is an infomercial. I stuck it out as long as I could with this podcast but never could get into it. I watched the last two months of shows and that's saying a lot considering he puts out about 3 to 6 almost daily. Half the show talks about his website and chat room (I realize you have to "plug" your sites but there is a limit!) The other half of most shows is him reading E-MAILS from everyone else. The ones where he isn't reading e-mails he is trying to be funny, unsuccessfully. 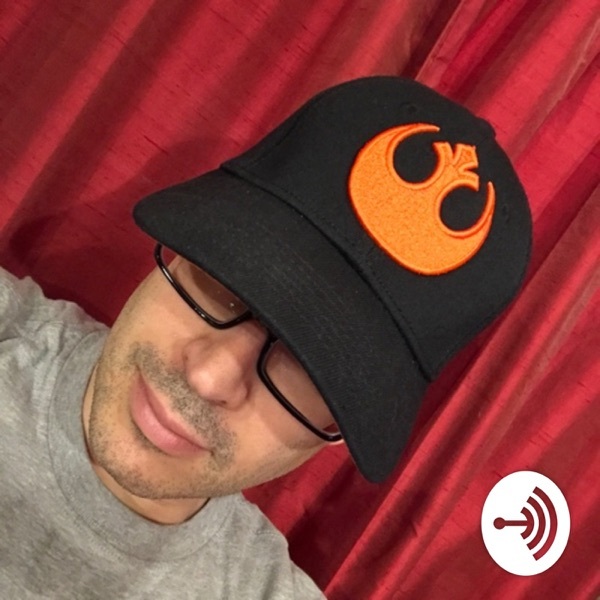 I do like Chris Pirillo and watched him faithfully on TechTV but I do not like this podcast. I wanted to give four stars, I really did ... but that would be just awarding a star for who he is and not the content of this podcast. This is the best tech support podcast ever!!! Stupid and waste of time! He also likes to talk so much about himself that is way too boring. Don't bother. this is the best show ever!!! I was addicted the first time i saw it!!! You're reviews are so helpful. I always learn something new. It's great to see the quality of information you are giving here, and it's free! Love to see that you advocate the use of opensource programs! I feel it's necessary to keep technology evolving! ;-) Thank you for your time, energy and effort! Chris Is great and the podcast is great. Def a great continuation of TechTV...!! Chris Pirillo is simply phenomenal, anyone who loves and adores technology will simply fall in love with this phenomanal show. Chris is a great guy, and is always willing to help. Plus he is real smart, and provides great help for free. If you want good tips, tricks, and computer comedy, this is the place to find it. Chris is the smartest authority on computing and other geek stuff. Choose him for any of your geek needs!